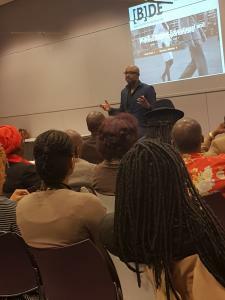 The Black Dutch Entrepreneurs® supports in the creation of business opportunities, educational growth and personal growth for Black Entrepeneurial Netherlands. Partnerships with key stakeholders who help facilitate this growth. Black Inc. is a associate key partner to The Black Dutch Entrepreneurs® . Stimulate and invest in Black Owned Business in the Netherlands. The Black Dutch Entrepreneurs® was conceived in 2016 to help the black Dutch people to gain sustainable positions both in corporate and public sector. Our organization helps members to gain and sustain their professional position in challenging environments. We are helping our members to become the role models and leaders of the 21st Century. We are preparing our people to uplift the generation after them, through coaching, mentoring and guidance. 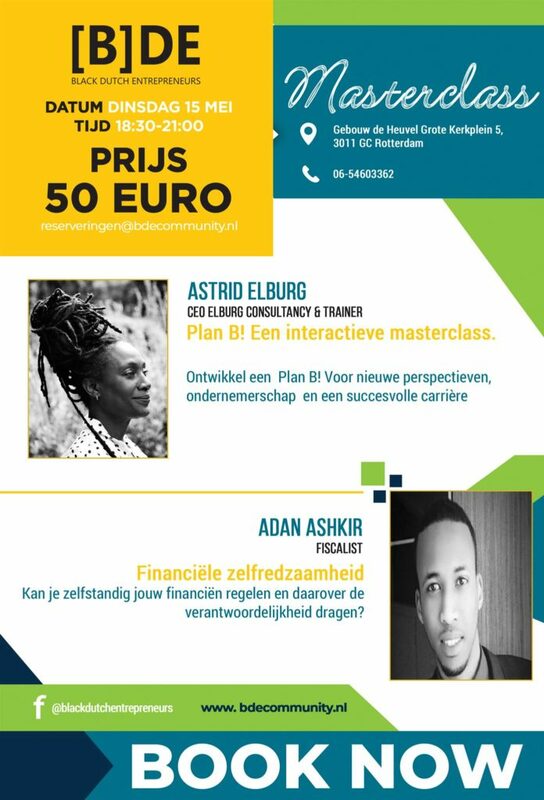 In 2017 The Black Dutch Entrepreneurs® began the execution of a strategic plan. It’s a plan to improve the value proposition, make the organization more data driven and diversify funding sources. We will organize at least 6 networks meeting and 14 master classes a year. Our members organize meetings, business pitches and Black Inc. pitch rounds to get to know each other better and to unlock and use each other’s craftsmanship. Find local BDE events and masterclasses held near you within your region. Make sure you never miss an event. 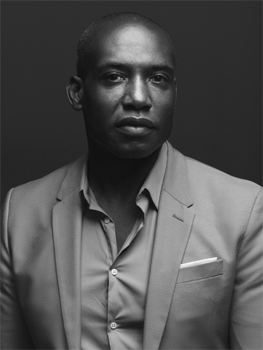 At The Black Dutch Entrepeneurs® we are committed to the professional advancement of our members, and are continuously seeking new opportunities and benefits to provide. We are an organization with top corporate and collegiate partners serving some of the most attractive career & social benefits to our community. 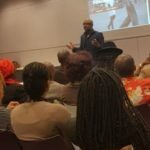 BDE is een essentiële beweging ontstaan vanuit de urgentie en de verantwoordelijkheid van de afro-Caribische gemeenschap in Nederland om zich beter voor te bereiden op de 21e eeuw. Ik voel mij persoonlijk verantwoordelijk om een bijdrage te leveren aan de ontwikkeling van de gemeenschappen met wie ik mij cultureel en economisch verwant voel en vind het dan ook in mijn belang dat ik op deze manier iets terug geef aan de samenleving. Daarnaast geloof ik in het stokje doorgeven aan de jongere generaties zodat zij beseffen dat we samen moeten optrekken om onze posities te maatschappelijk veroveren en om onze economische waarde te verzilveren. Dan kan alleen met verbeeldingskracht, samenwerking en ondernemerschap ! 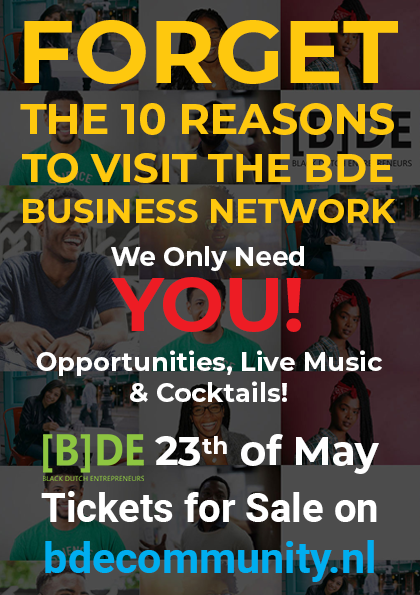 BDE seeks to align itself with outstanding corporate partners that share our commitment to creating educational opportunities and economic growth for Black –Dutch and diverse business professionals. We work to foster mutually beneficial relationships that create a pipeline of diverse talent for our partners, offer new and exciting resources and opportunities for our members, while increasing the reach and impact of BDE®. We look forward to a strategic, collaborative relationship with you; one that offers quantifiable results through holistic promotion and shared goal successes. BDE®seeks to develop mutually-beneficial partnerships with organisations whose missions and core values align with our own. If your organisation is interested in a partnership, please contact us using this form and we will get back to you as soon as possible. Thank you for your interest! 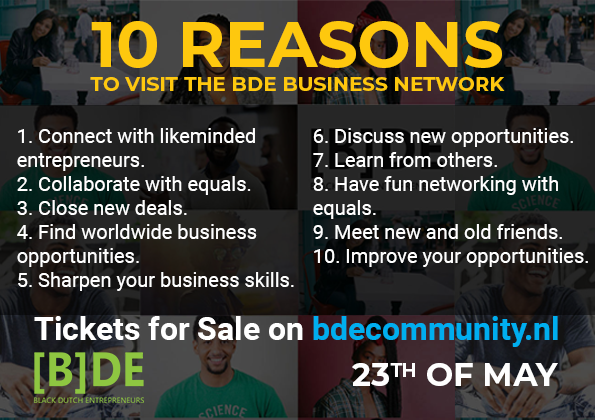 BDE is a foundation whose objective is to stimulate, support and guide Afro Dutch people towards entrepreneurship in the Netherlands. © [BDE] Black Dutch Entrepreneurs All Rights Reserved 2018. With your financial support we can be right there for more people who need us, offering financial emotional and business support. We receive no government funding, so your donations however big or small really do make a difference. Yes! I would like to become a contributor for Black Dutch Entrepreneurs. Access to all BDE meetings as well as a 10% discount on BDE training courses. You will receive a confirmation of the registration you entered by e-mail for your administration. Personal data from contributors are handled with the utmost care and security. In all cases, BDE complies with the requirements of the Personal Data Protection Act. As a contributor you accept the privacy regulations and you give BDE permission to collect, store and process your information. We use your data exclusively for administrative purposes and to keep you informed of the activities and the developments of the Black Dutch Entrepreneurs Foundation (BDE). Your information will not be provided to third parties by us. 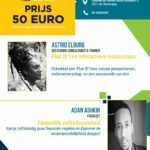 Please transfer your contribution to the following bank account number: NL43 SNSB 0706 0873 13 (Stichting Black Dutch Entrepreneurs). After receiving your contribution we will send you a confirmation via email. The undersigned supports the objectives and activities of Black Dutch Entrepreneurs (BDE) as a contributor. Personal needs, remarks and/or questions?